Are you curious about how members are nominated for the Board of Trustees? Have you ever considered exploring a board position or leadership position at CVUUS? Each year the congregation votes to approve new members of the CVUUS Board of Trustees during the Annual Meeting held in June. It is the job of the Leadership Development Committee to nominate members to stand for vote during that meeting. The Board comprises of seven members including the President, Vice President, Treasurer, Clerk and three at-large members. Under Policy Governance, the Board is responsible for the overall policy and direction of CVUUS but it is not involved in making decisions on the day-to-day activities. The Board does not oversee, approve, or reject the plans of committees or task forces of CVUUS. Instead, its primary job is to help articulate the vision of CVUUS, to respond to the needs of the congregation, and to hold the minister and the congregation accountable for meeting the needs of CVUUS and its vision. Board members must learn to be systems thinkers. “Systems thinking” is the process of understanding how things influence each other in a whole – the people, structures and process that all work together to make CVUUS healthy or unhealthy. Systems thinkers focus on the inter-relationship and influences that exist within CVUUS as opposed to focusing on individual parts such as activities, tasks or committees. In the dynamic environment of change that we find ourselves at this time, it is especially important for board members to understand and examine the choices we have made in the past that have lead us to where we are today and will lead us toward the future. Board members need to keep a systems focus to determine if the overall choices we are making are helping us achieve our desired future or sending us down the wrong path. Board members must be servant leaders. “Servant leaders” lead by supporting or serving the needs of the congregation that they represent as opposed to “leading from the front” by creating and driving their own personal vision for the congregation. So unlike some leadership positions that rely heavily on the ability to inspire and drive people toward a personal vision, the board must act as a collaborative team in the service of the congregation. This requires leaders who are able to listen carefully to the needs of the whole congregation and then work to set the right climate for those needs to be met. Board members must be leaders in community transformation. As mentioned earlier, we are undergoing a number of transitions. The board is responsible for helping to articulate those transitions and holding the minister and the congregation accountable for implementing changes that are required to successfully navigate CVUUS through those transitions. Board members are rewarded through the spiritual practice of leadership. Members of the board spend much time and energy serving CVUUS without compensation and often without much formal recognition. 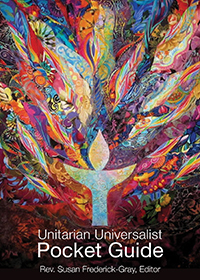 However, practicing the disciplines of governance, systems thinking, servant leadership and transformational leadership take focus and dedication and serve as ways to deepen spiritual practice as a leader of CVUUS. If you are interested in exploring either of these positions or a position as a member-at-large on the board – or if you know of someone who you think would be a good candidate for the board – please contact Andre Mol, Chair, Leadership Development Committee, directly at 802-855-3715 or at andre.mol011@gmail.com.